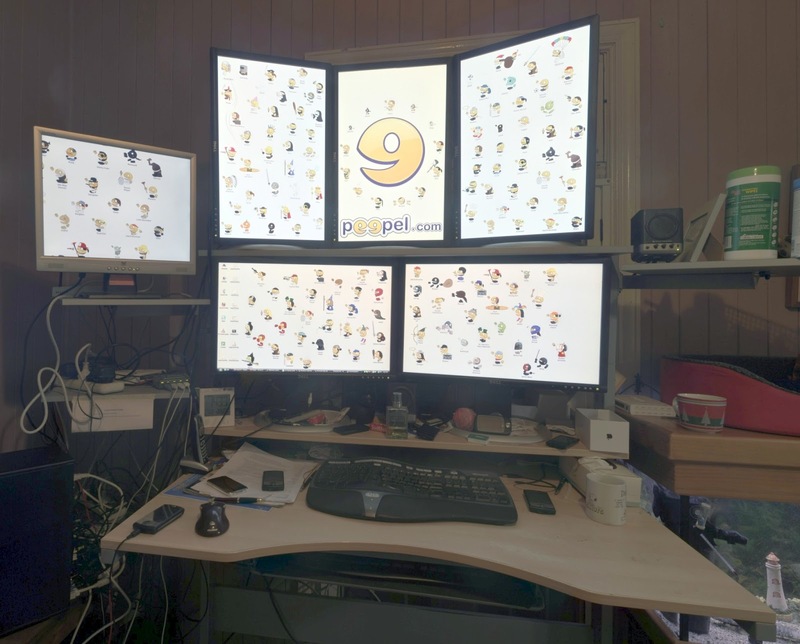 Edge of Space Research Interest: Why do I have 6 monitors ? Cable management as you can imagine is a bit of a nightmare, and something that you can see from the image that i have not 'managed' very well. All up just for the monitors there is 6 power cords, about 9 video cables, a combination of Digital and Analog, and one RCA plug (where i used to have a DVD player connected as well). 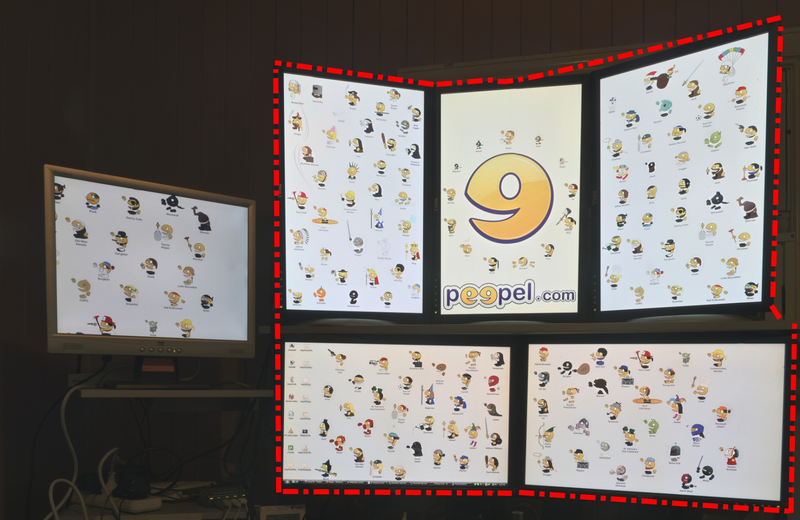 The Dell monitors work very well for this scenario, as I can rotate them 90' and they also have 5 separate inputs, and can do picture in picture. At one stage I also had a second computer hooked up to the bottom two monitors, so that they were one of the alternate inputs and I had a second keyboard on a slide out tray of my desk, but as virtualization and remote desktop management got better, I decided that I didn't need the extra complication of the second computer and removed it. It can be a nightmare getting the setup working properly again, if there is a problem with a driver or re-installing windows, and I have found the best way is to get two monitors working, and then connect each monitor and configure the layout and rotation until it is correct and then move onto the next. I run standard Windows 7 and do not run any special tools that i have seen around for multiple monitors - I have tried a fair few of them and found that they did not really benefit me for what I do, but can understand that other people do find them advantageous. I keep moving my windows task bar between the right of my monitor and the bottom, but generally have it on the right, I find that I prefer this, I think as I can have more windows open and see the titles of the windows a lot easier. I have been using multiple monitors, since I discovered that it was possible about ten years ago, and stole the video card and monitor from my wife's computer to set it up that night, and have used them ever since, going from 1 to 2 monitors was the largest benefit, in reality although this setup is 'cool' and does offer some benefits, the increase in benefit is not that much higher than having two monitors. 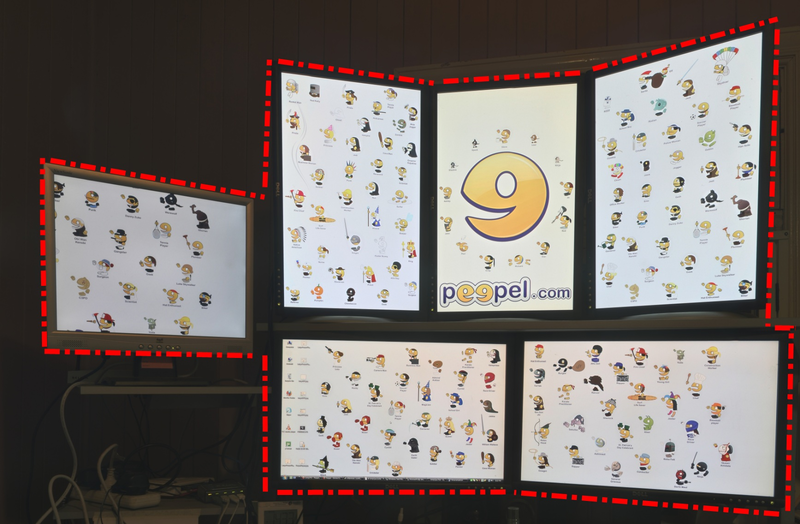 If you don't have multiple monitors, especially if you are a developer or working with graphics or maps - give it a try it will make a big difference to your life. I stumbled across this post after sharing details of my own multi-screen workstation in my case powered by Macs. Thanks Kate, it looks like I have had a lot less problems setting up my system than you have ;) I didn't need to install or maintain any additional software to get it all working.